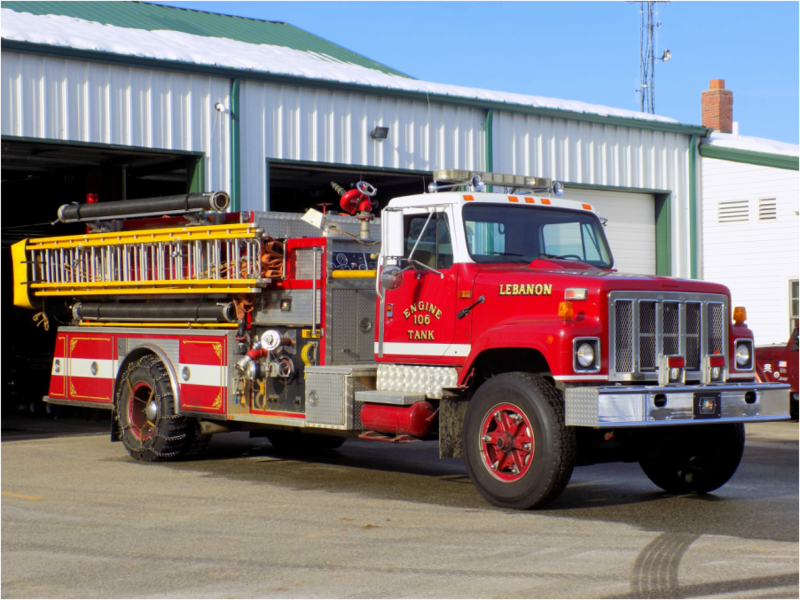 This is the page for the Lebanon VFD. 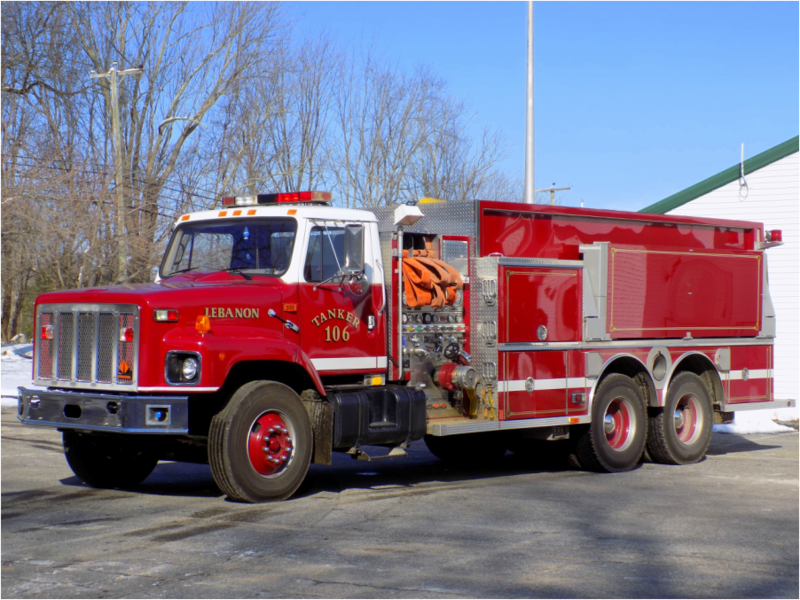 They have 2 engines, 1 ambulance, 1 brush truck, 1 hose tender, 1 ladder truck, 1 rescue truck, and 1 tanker truck. 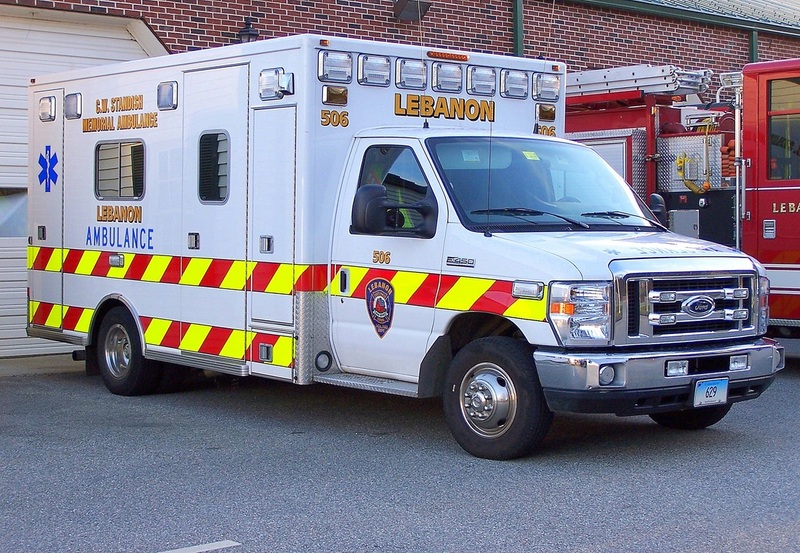 Lebanon's Forestry 106, a 2006 Ford F-550/Pierce brush truck. 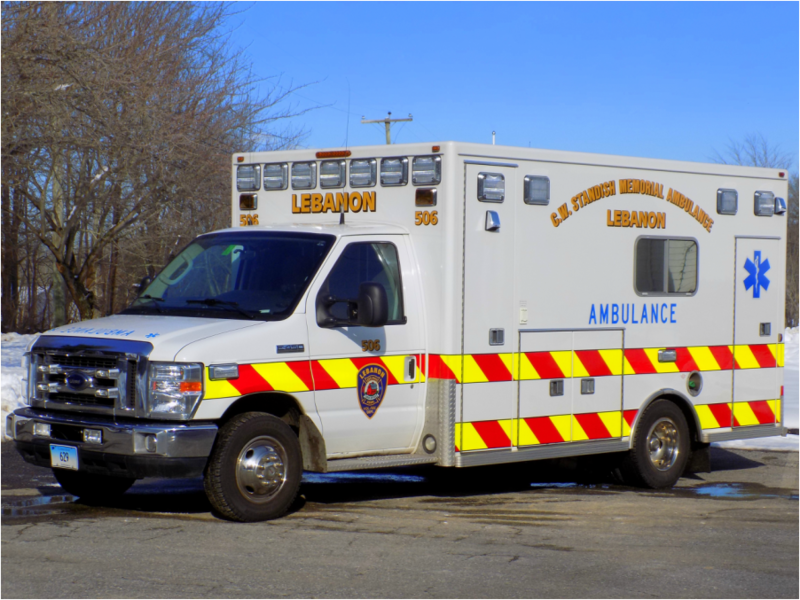 Lebanon's Ambulance 506, a 2010 Ford E-450/Lifeline ambulance. 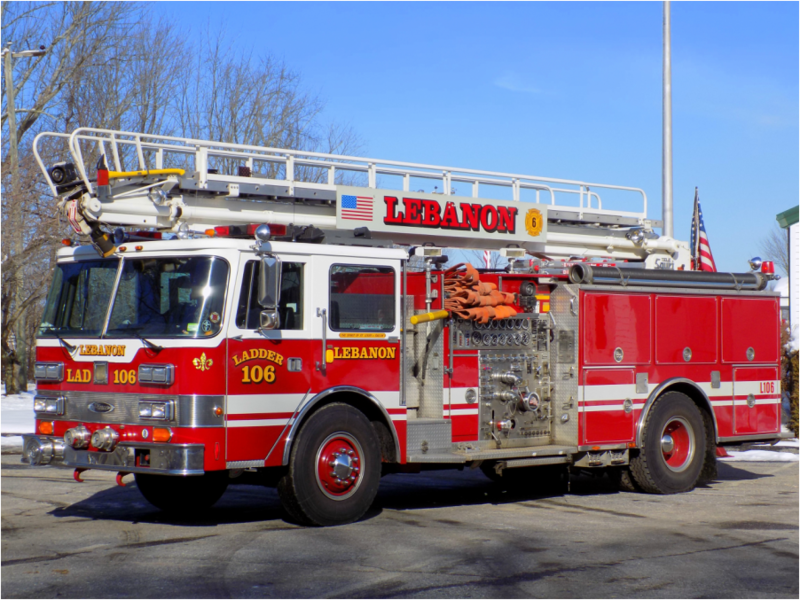 Lebanon's Engine Tank 106, a 1990 International/American Eagle. 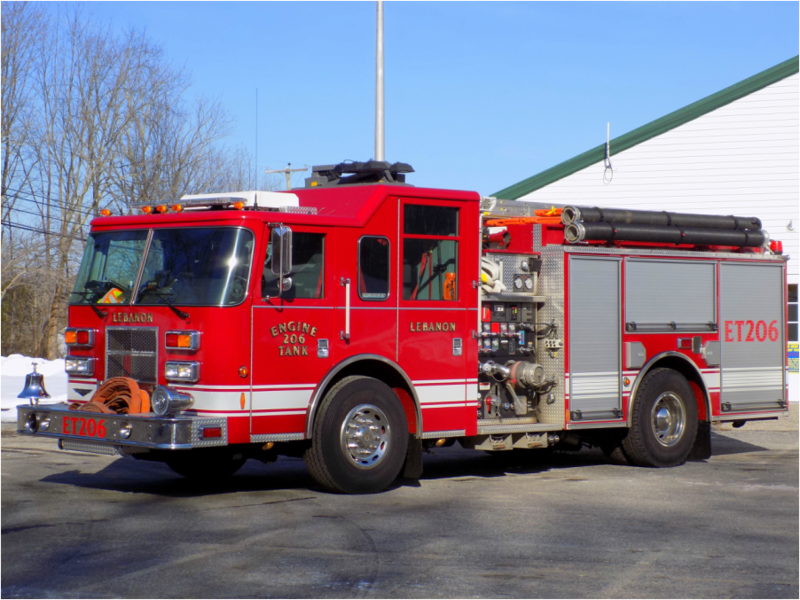 Lebanon's Engine Tank 206, a 2006 Pierce Contender. 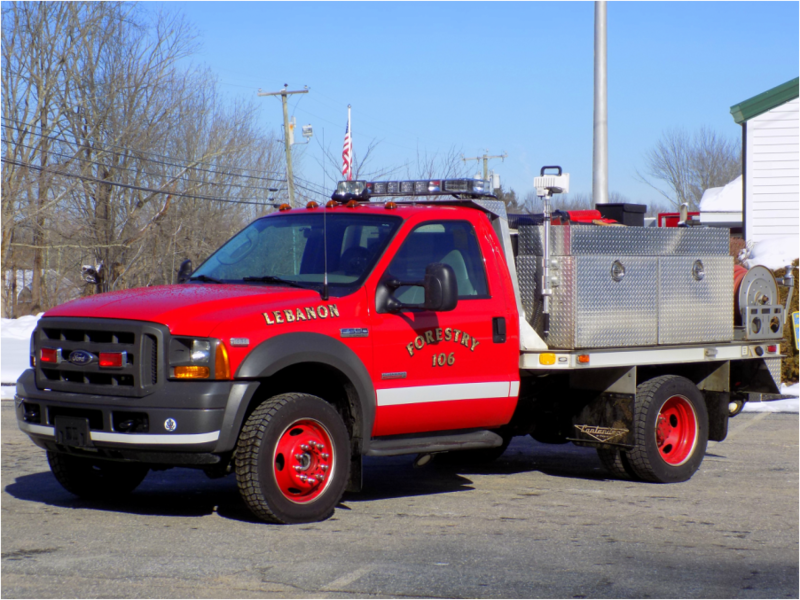 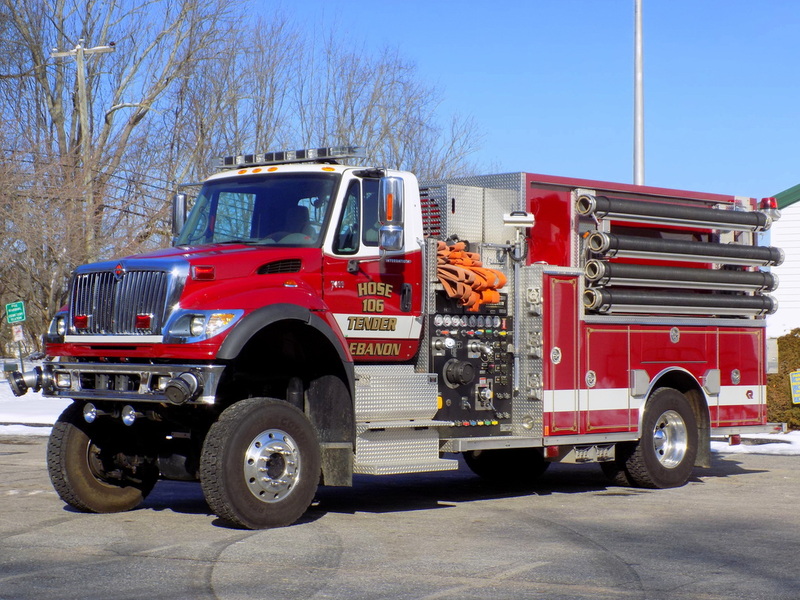 Lebanon's Hose Tender 106, a 2006 International/Rosenbauer/Central States. 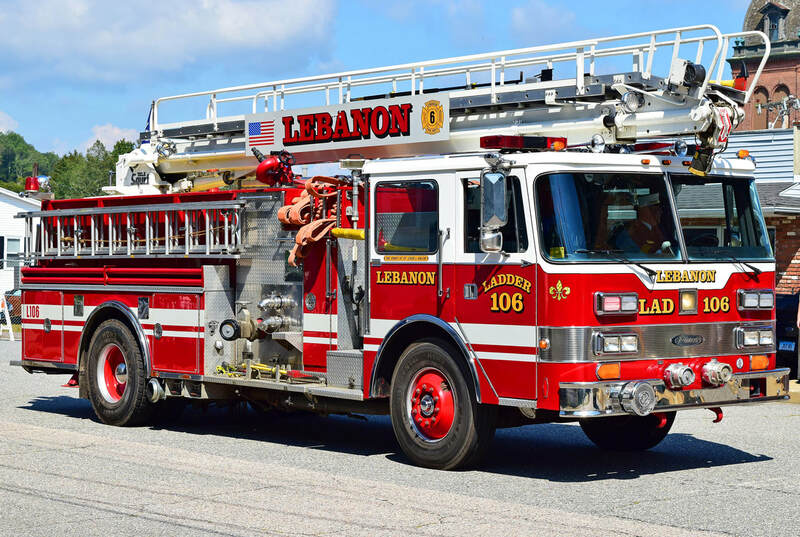 Lebanon's Ladder 106, a 1987 Pierce Arrow tele-squrt (ex St. Louis, MO and Salem, CT). 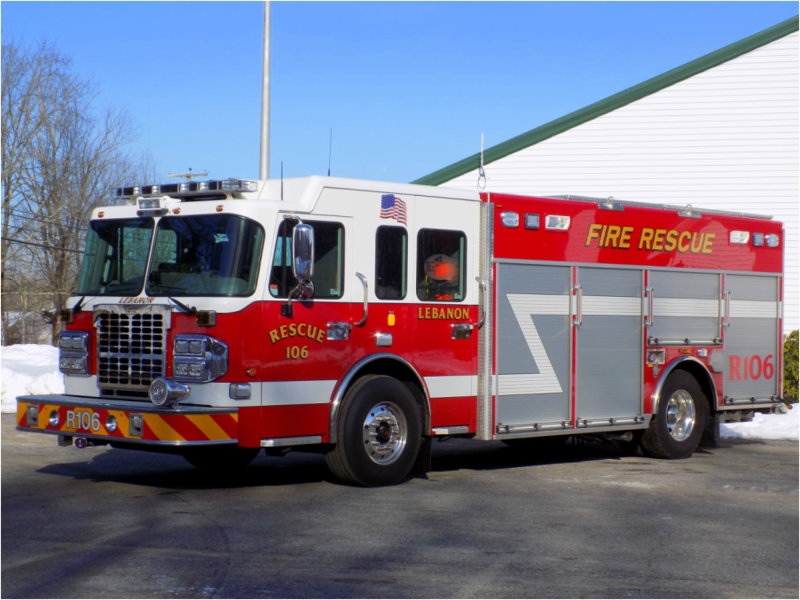 Lebanon's Rescue 106, a 2013 Spartan/Rescue 1 heavy rescue (ex demonstrator). 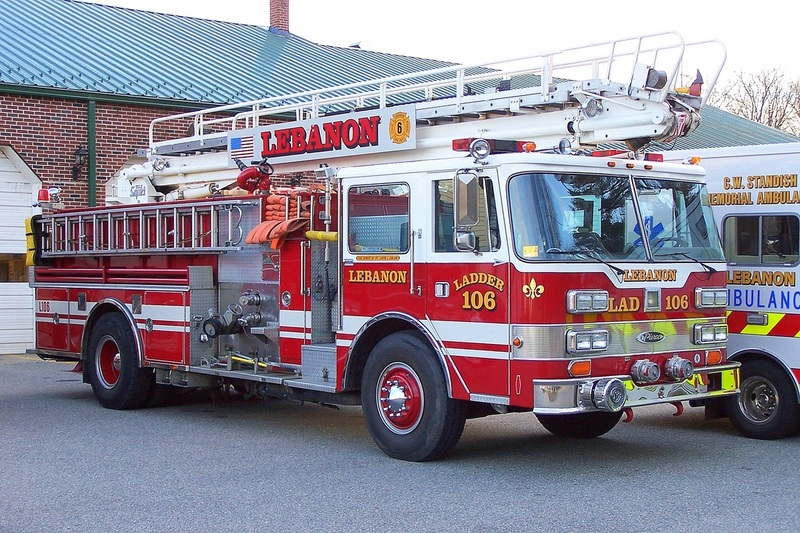 Lebanon's Tanker 106, a 1996 International/Central States tanker truck.